Pune is a vibrant metropolis in Maharashtra, India, and the state’s biggest city. More than 3.4 million people call the destination their home, which forms Pune Metropolitan Region’s urban core. Discover a wealth of history, exhilarating adventure and numerous sights and sounds. Top attractions include the National Defence Academy, Darshan Museum and the Dagadusheth Halwai Ganapati Temple. Get ready, because cheap flights to Pune are now available for a limited time! Pune is the home of Pune International Airport (PNQ), which is a 35-minute drive from the city centre. Pune International Airport serves multiple airlines, including Jet Airways and Air India. Popular flights to Pune are available from Johannesburg and Cape Town. The flight duration from Johannesburg to Pune is approximately 19 hours and 20 minutes. 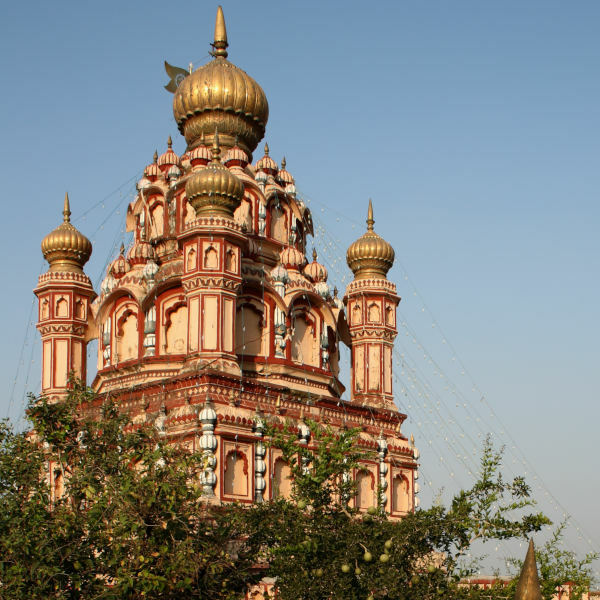 As with most Indian destinations, Pune is rich with beautiful, historical and sacred temples. These include Navagraha Shani Mandir, Ojhar Temple, Trishund Ganpati Mandir, Shree Kasba Ganapati and Hanuman Mandir. 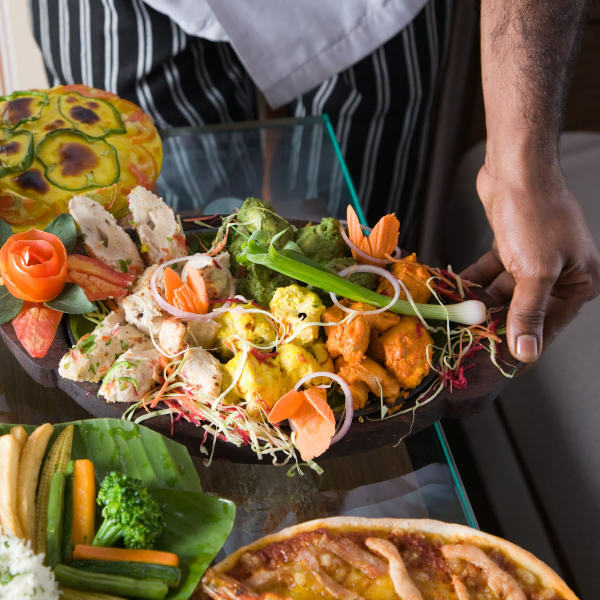 A visit to an Indian city as vibrant as Pune wouldn’t be complete without treating yourself to the exceptional local dishes. Indulge yourself in tasty meals such as missal and Kathi rolls. Immerse yourself in the local culture with the colourful celebrations that take place throughout the year. 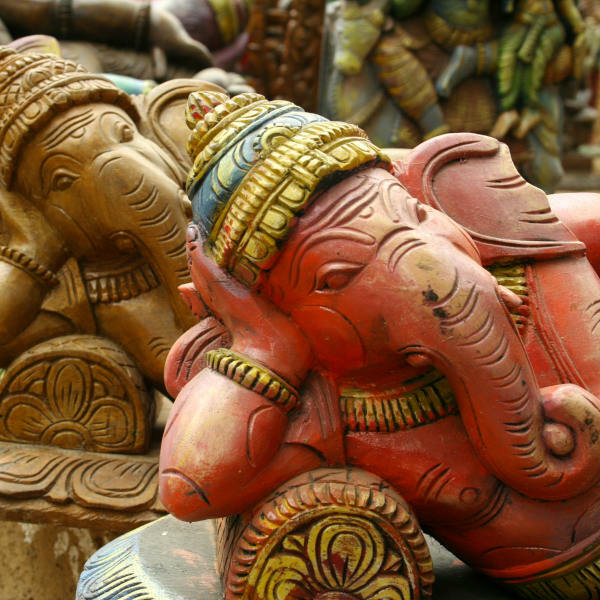 Some events you should not miss out on include Ganesh Chaturthi and Pune Festival. Pune has hot summers, a humid monsoon season, and pleasant winters. The rainfall is low throughout the year, except from June to October (the monsoon period). Summers (usually from March to June) bring the hottest temperatures, sometimes higher than 40°C. During the winter (November – February), you’ll get the driest conditions and temperatures averaging around the low 30s. Your best time to visit Pune for great weather is from November to February. If you want to skip the crowds, avoid visiting during December. Should you prefer to experience Pune during this month, however, book your flights and accommodation well in advance and be prepared to pay more for a hotel stay. Pune is a thriving and vibrant metropolis, and the centre of academia and business in India. The biggest city in the state of Maharashtra will amaze you with its confounding mix of ancient and modern. You’ll find India’s colonial era charm retained in the few old buildings and residential areas, which results in the co-existence between the old and the new. This cultural hub will intrigue you with a multitude of sights and sounds. There’s the charming natural wealth to feast your eyes upon, with scenic dams and beautiful parks. Explore the city and surrounding area and find all the well-known landmarks, including the Narayani Dham temple, Ranjangaon Ganpati Temple, University of Pune, and Laxmi Road. Go on food walking tours through the various markets and discover exceptional Indian dishes, such as keema pav, chicken ra-ra, and the utterly satisfying mastani. Thrill seekers and adventurers at heart have plenty to look forward to in Pune. Enjoy thrilling canoe trips and white-water rafting along the Kolad River, just a 3-hour drive from Pune. A bit closer than that is the Kundalika River, which is the perfect setting for those who are interested in learning to raft, thanks to gentler waters. Then there’s Andharban Trail starting point, which is also where you can go exploring with scuba diving opportunities! Compare several airlines and book your cheap flights to Pune online at Travelstart! You will need a visa to enter India and visit Pune. Make sure your passport is valid for at least six months from the date you leave India, and that it has two blank pages for stamps. Visa applications may take longer than five working days. You can apply for your visa on the e-Tourist visa website, or through VFS Global. Before departing for your trip, consider taking out travel insurance to cover theft and medical expenses. Make sure you take care to guard against the diseases prevalent in India. These include malaria, dengue, as well as other insect-borne diseases. You should also take care to immunise yourself against yellow fever, hepatitis A, hepatitis B, typhoid, TB, cholera, rabies, and Japanese encephalitis. While exploring the areas surrounding the rivers, watch out for ticks and leeches. Avoid eating street food and stick to busy restaurants, since food poisoning is a problem in Pune. Stay clear of meat and shellfish, and make sure to only drink bottled water. Violent crime is low in Pune, but you should always keep watch on your valuables when in public, since petty theft is a problem. If you see any criminal activities, report them to the police. Stay away from the touts. While locals are friendly and mild-mannered for the most part, there have been incidents of mugging on the outskirts of Pune, especially on the highways and deserted areas. If you’re driving and your vehicle breaks down after dark, stay in the vehicle and phone for help. Take extra precautions when driving in Pune. There have been high volumes of traffic in recent years, and impatient motorists are a common occurrence in the city and on highways, which are the main reason for the motor accidents in Pune.